The story largely takes place in an old mining town in Nevada where theater and western culture collide with great enthusiasm. This is a version of the classic boy meets girl, boy loses girl, et cetera, as it travels a bumpy path from bank foreclosure to theatrical bliss. There is a bit of talking and singing, but mostly there’s a lot of dancing. The creative staff is pleased with the energetic cast, orchestra, and crew. Bill Starr hasn’t spent much time in the director’s chair the final week leading up to opening as he’s been busy running up on stage to lavish his enthusiasm and spirit on his cast and put the finishing touches on this production. Vocal director Jim Burris and choreographer Lisa Callaghan have also put the cast through their paces. Musical director Joe Kelly has been splitting his time between cast and orchestra rehearsals making sure that everything would be ready when they all came together at the sitzprobe. With a lively Gershwin score, everyone has their challenges, but that first meeting of cast and orchestra went very smoothly. Now this weekend, the company looks forward to hearing the audiences fully enjoy the show they have put together. The cast includes: Jery Rosas, Jeremiah Clauss, Fiona Condon, Tyr Rodriquez, Chris Souza, Beth Anne Wells, Peter Woolhouse, Becky Brownson, Carol Knouf, Michael Brothers, Rhonda McFadyen, Amanda Vogel, Andrea Furtado, Sam Nachison, Steve Completo, Ian Douglas, Gabby Au, Justine Caron, Dave Ellis, Michelle Elrick, Emily Goes, Kristen Ivers-Williams, David Lamcke, Christine Ormseth, Andrew Viloria, and Susanna Wagner. Of course, this is a big show with a big orchestra including: Asa Stern, Claudia Zornow, Keith Leung, Ande Jacobson, Martin McHan, Jordan Selburn, Alyson Ancheta, Nicholas Chik, Kevin Wang, Paul Olivo, Stuart McCrorie, Jesse Sanchez, Andy Scott, Don Brownson, Rebecca McKinley, Dori Shimer, Monica Bugaoan-Abakan, Faye Yang, Miho Nishi, Marilyn Anderson, Judy Diamond, Madeleine Graham, Andrew Amistoso, Stephen Adkins, and Karen Adkins. Note that not all players play all performances. 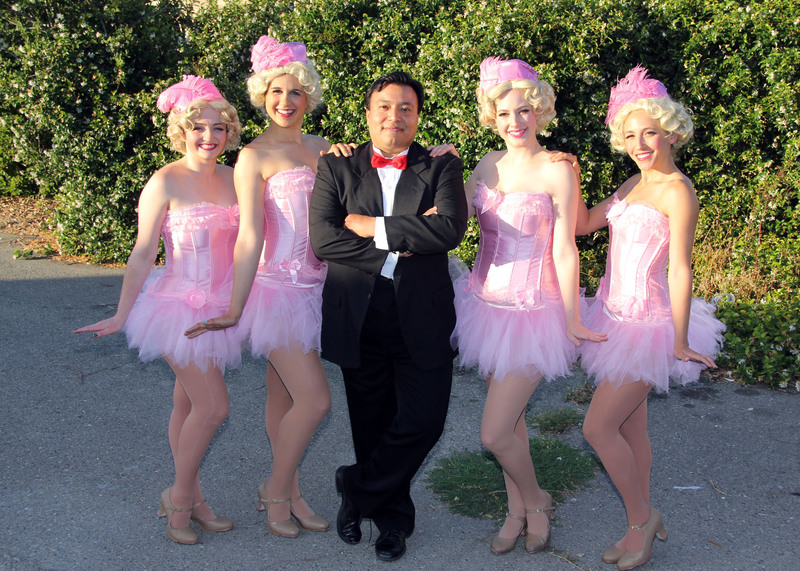 Tickets are available online through www.wvlo.org or by phone at 408-268-3777 (leave a message and they’ll call you back). WVLO generally runs contests within the company, so if one of the performers referred you, please let the box office know when you order your tickets. 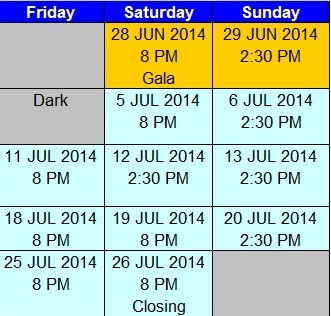 The show runs Fridays – Sundays, 28 June – 26 July 2014. Performances will be at the Saratoga Civic Theater located at: 13777 Fruitvale Avenue, Saratoga, CA 94070. There will be no A Good Reed Review review for this one as yours truly will be sitting in the orchestra surrounded by a bevy of reeds contributing to the instrumental excitement of this production.